This is a fashionable soft and attractive men's scarf,comes in a variety of striking eye catching,classy patterns and extraordinary vibrant colors are custom tailored for the fashion forward dude! Every man needs a couple of scarfs to alter their looks between suits, jackets, coats and casual wear,and make your dressing different. Washing instructions: Do not machine wash,Hand Wash Seperately in Cold Water. 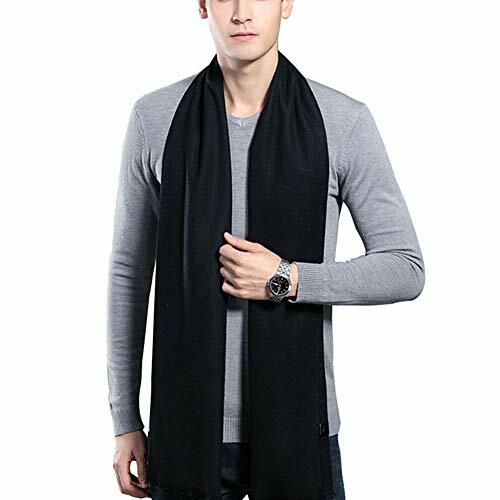 If you have any question about this scarf, Please contact us first when you have any problem,we will give you the best service and solve the problem ASAP.Thank you so much. PERFECT GIFT:In these cold winters,warm yourself with the heavenly soft feel of superior quality Cashmere scarf, or the perfect gift for your family, friends and loved ones on Thanksgiving Day, Birthday, Father's Day or some special days. OCCASION:Meet your daily wear and formal occasions.Match your Jacket,Coat,Suits etc.Ideal for use in spring,fall,or winter. If you have any questions about this product by HULANG, contact us by completing and submitting the form below. If you are looking for a specif part number, please include it with your message.